Okay, now that you've got all that settled, let's proceed! 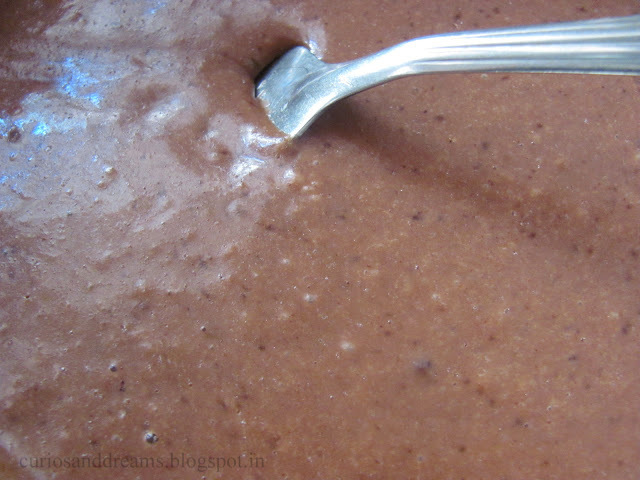 Sieve the flour, cocoa powder, baking powder, sugar, and salt in a large bowl and mix thoroughly. In another bowl, beat the egg until fluffy. Then add the milk, vanilla essence and melted butter, and whisk it in. Make a well in the flour mixture, and pour all the wet ingredients in it. Using a fork, incorporate the dry ingredients into the wet, until the batter is smooth and slightly thick. I like to leave small lumps in it. Your pancake batter is now ready! 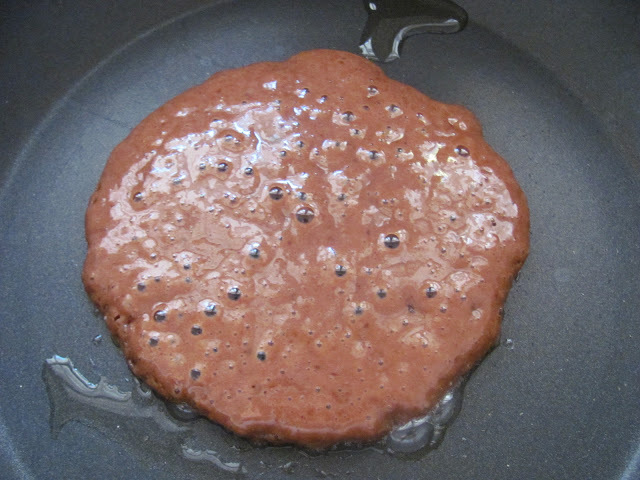 Heat a non-stick frying pan on high heat, and grease it with melted butter or cooking spray. As the butter begins to bubble, turn down the heat to medium. Now using a ladle, or a tablespoon (depending on how large you want your pancakes), pour the batter in. 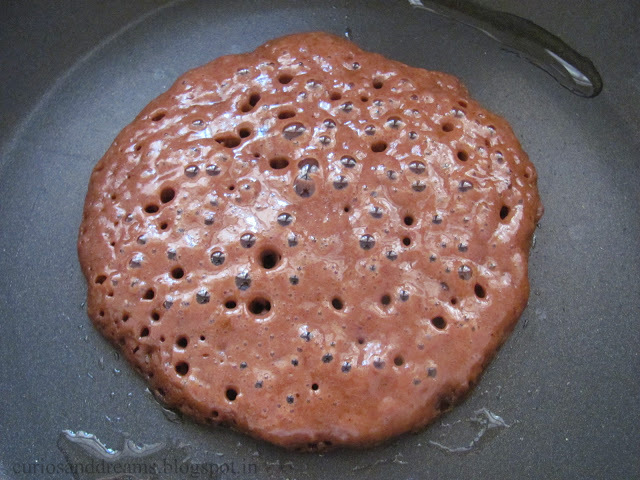 The batter should be slightly thick, or else it will start spreading and you'll end up with flattish pancakes. Wait till you start seeing bubbles on the surface, then summon your best flipping skills, and flip! 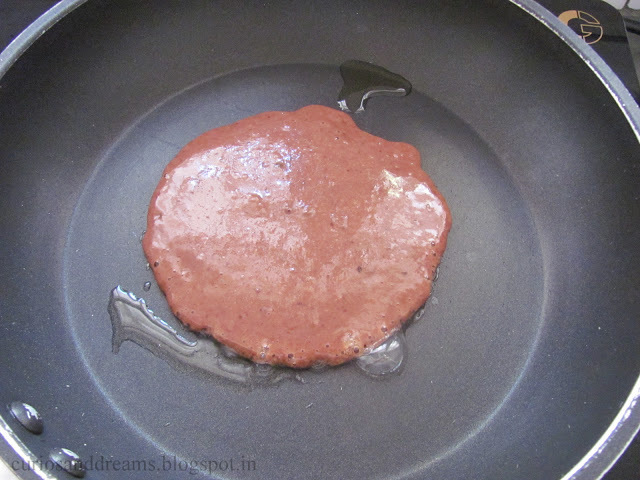 Give another 30 seconds or so to the other side, and gently slide out the pancake onto a dish. American pancakes are great when stacked and buttered. 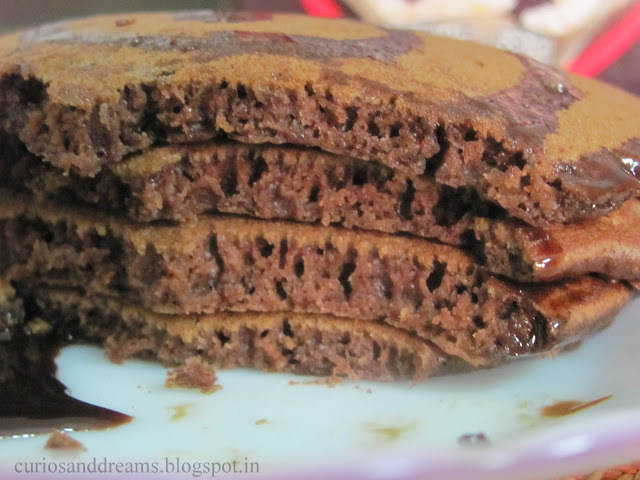 This recipe is for very lightly sweetened pancakes, so pour oodles of maple syrup, honey, or chocolate sauce and whipped cream over them. On another occasion, I have also tried them with vanilla ice-cream! A dusting of caster sugar would be heavenly too, or add macerated berries on top. 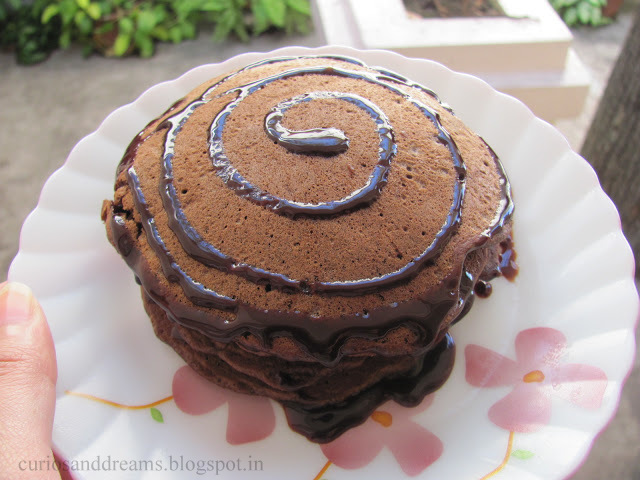 That's the beauty of these pancakes- endless possibilities of toppings!